Fluid Power, Aerospace, Energy, Medical Devices, Sports Equipment, Electronics, Robotics, Agricultural, Defense and Automotive, and many other niche markets. With over 100 years’ experience in spring manufacturing, Ebsco's management team is committed to quality and service first. From small custom jobs to high-tolerance, precision springs, Ebsco has the diversity and the capability to produce or help design the product you need, when you need it. You will not find another spring company or spring manufacturer who will match our dedication and thoroughness. Our success at Ebsco is predicated by our unmatched customer service and our ability to produce the highest quality products with zero defects. Our continued goal is to enable our customers to achieve outstanding success in their respective field by providing them with superior products. 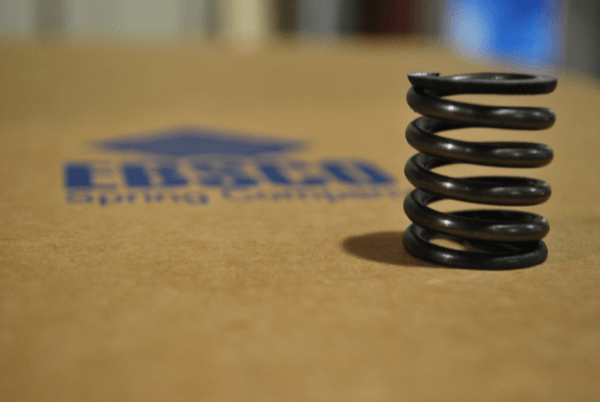 We are extremely proud of the quality of our custom compression springs, custom conical springs, and custom extension springs. We will continue to exceed the expectations of our customers through competitive savings, vendor managed inventory, and a highly experienced workforce dedicated to your success. All rights EBSCO Spring Co.